To rescue, restore, equip, and empower throughout the world. To see a world free from brokenness and oppression.  The purpose of I Will Stand International is to preach the good news to the poor, bind up the brokenhearted, proclaim freedom for the captives, release prisoners from darkness, proclaim the year of the Lord’s favor, comfort all who mourn, provide for all who grieve, bestow crowns of beauty instead of ashes, the oil of gladness instead of mourning and a garment of praise instead of a spirit of despair. That our team and people will be called oaks of righteousness, a planting of the Lord for the display of his splendor. That we will restore devastated places and ruined cities that have been devastated for generations (Isaiah 61:1-4). Specifically, the purpose is to bring hope and healing through the intimate knowledge of Jesus as well as to provide basic necessities such as food, clothing, shelter, medical, and opportunities for education, skill development, and/or employment. The extent to which this purpose is fulfilled varies by region. Learn more about the IWSI team, the founder, and the board. Profits from the IWSI Gift Catalog fund our operating costs and help us grow.